The upcoming posts have been a long time in the making and I am excited to finally be able to post them. I have been perusing the internet to get an understanding of some of the tricks of the trade that a photographer can use to ensure an efficient shoot. I'll be covering three main topics of photography: Time lapse photography, photography gear tricks, and sensor cleaning. If anybody watched Planet Earth and didn't feel inspired then.. well.. I mean, did you really watch it?! Planet Earth was amazing! I have had a fascination with time lapse and high speed photography for a long time. Finally, I am able to do time lapse and it seems like it will be quite a while yet before I can do high speed photography since the consumer market doesn't have many options (Casio EXILIM Pro EX-F1). Only if you don't have an eye for it would you miss that there is a lot of time lapse photography on Planet Earth. The bulk of the time lapse shots have very complex movements. In order to do such complex movements the camera has to move consistently and smooth over a long period of time. To do a semi-circular pan of mushrooms growing the camera probably had to move from one side to the other over a week long period and probably quite a bit longer than that. 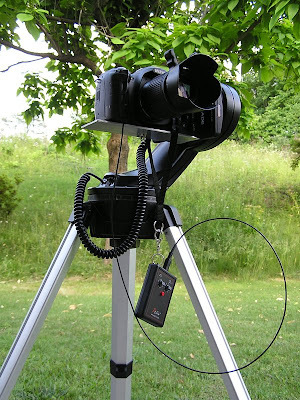 I don't yet have the capabilities to do such a shot, but with my Meade Telescope mount (shown below) I can pan across a horizon over a period of about three hours. 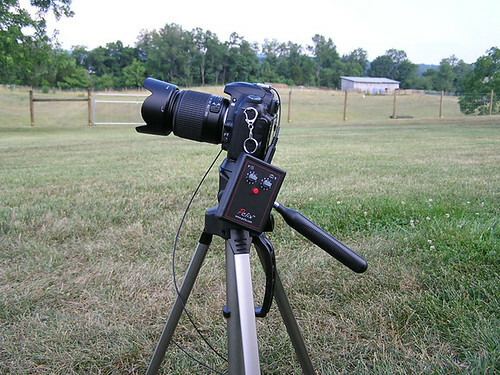 This setup is particularly good for sunrise and sunset shots. I can also track the sun across the sky vertically if I wish. 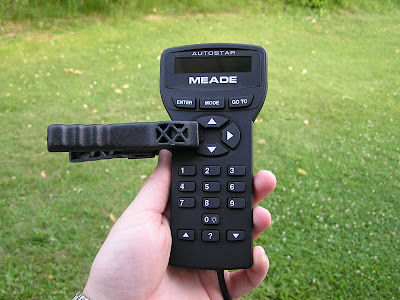 Also if you have the Meade 497 controller (shown below) for this setup, you can program it to do more complex shots, such as having it pause for a certain length of time before it starts to pan. I have not delved into the intricacies of this tool yet however. The funny part is that if you want the mount to continually move you have to use a rather analog method. 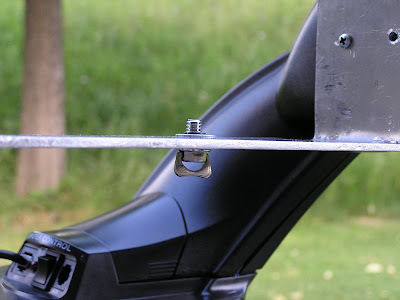 Making the mounting plate for the telescope head is a bit of a DIY project. 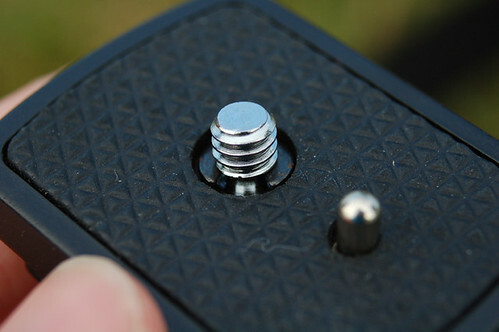 The way I attached the camera screw onto the plate was by taking the C-Clip off the screw, taking the screw off the tripod plate, putting the screw in the Telescope Head plate and then replacing the C-Clip. If you want to see other methods take a look at The Milapse Panning System thread on the Timescapes Forum. I have a Nikon D50 so I couldn't jump straight into time lapse myself. I had to buy the Pclix intervalometer to give me that capability. 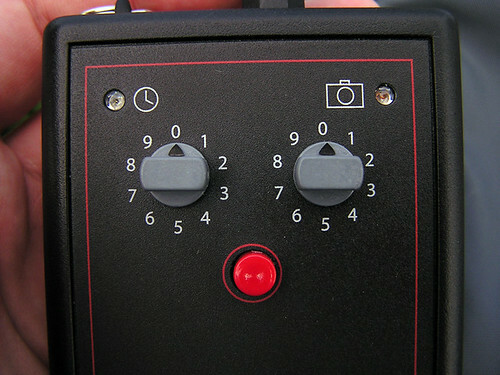 Some of the newer cameras have an intervalometer built in such as the Nikon D200. The Pclix will allow up to 89 seconds between intervals. Then presets are available on 90 - 99 which can be customized if necessary. My camera's IR sensor turns off after fifteen minutes. I think if there is constant power however, the limit is negated. The Pclix originally came with a nylon strap which I replaced with a clip so that I can clip it on my camera as shown below. In order to make sure that a signal is received to trip the shutter every time, the people at Pclix recommended I get a fiber optic cable. 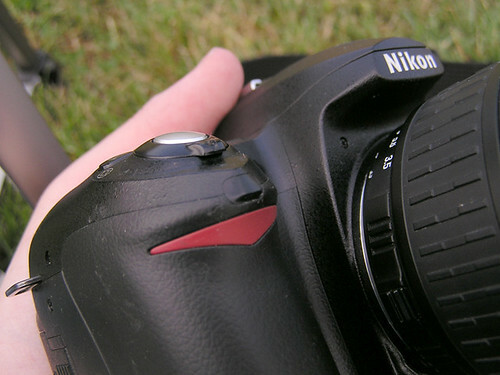 They were right too, because the IR sensor is in the front of the camera. 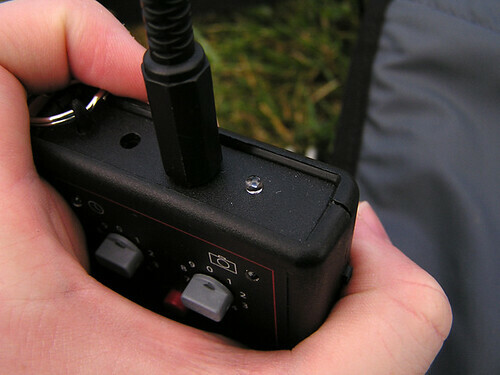 The IR LED on the Pclix makes it difficult to set up so that the sensor on the camera recieves the signal every time. 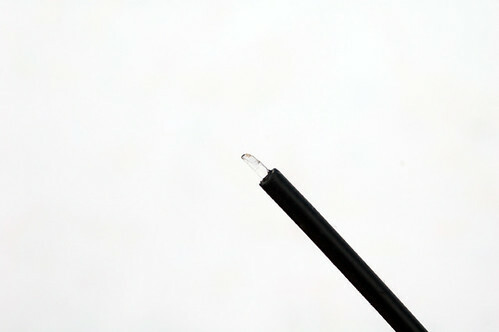 Therefore taping the fiber optic cable to the sensor ensures a shutter trip every time. Take note that since I have a Nikon D50 the fiber optic cable was the only option. 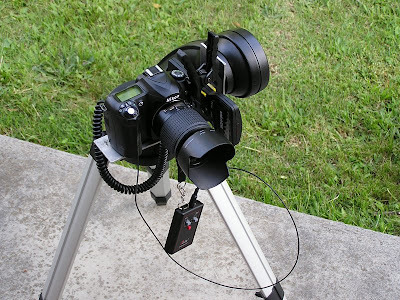 Other cameras may allow the user the ability to plug a cable straight in to trip the shutter. Pclix has several different options on their site.